Here are some current screenshots of my work in progress game, Monster. It has come along a great deal since my last post. 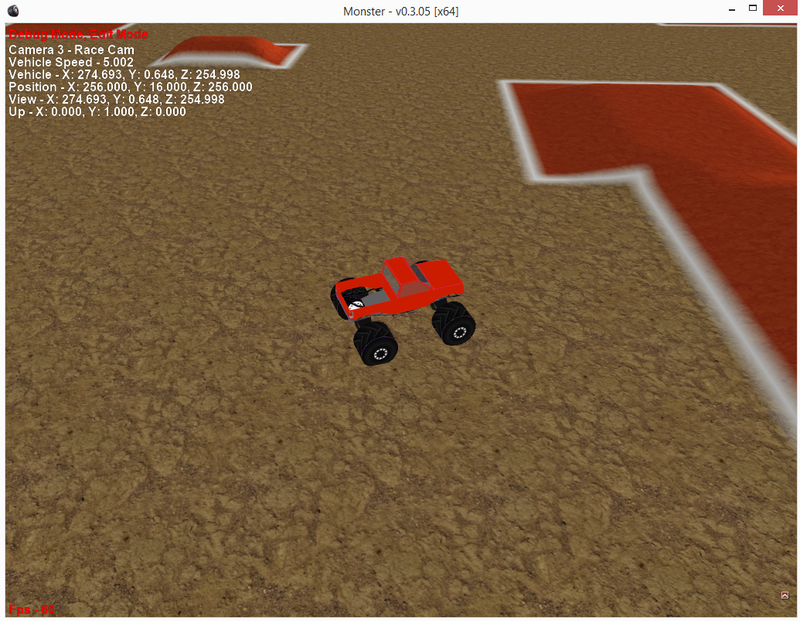 I am certainly not a modeler or artist so the truck is a crude attempt but overall it all imitates ROR. A couple things I would like to fix and I will release the current version. It is still in alpha stage. Question/comments/suggestions are welcome. I was thinking about this yesterday. And modified it to read pod files and mtm2 tr?ck formats. Build in some bouncy physics like this https://assetstore.unity.com/packages/t ... ics-107332 and profit? Hehe suggesting he could make money off of it and sell it as a game if he worked it well enough? I've actually been working on Project Monster, a temporary name for a WIP. 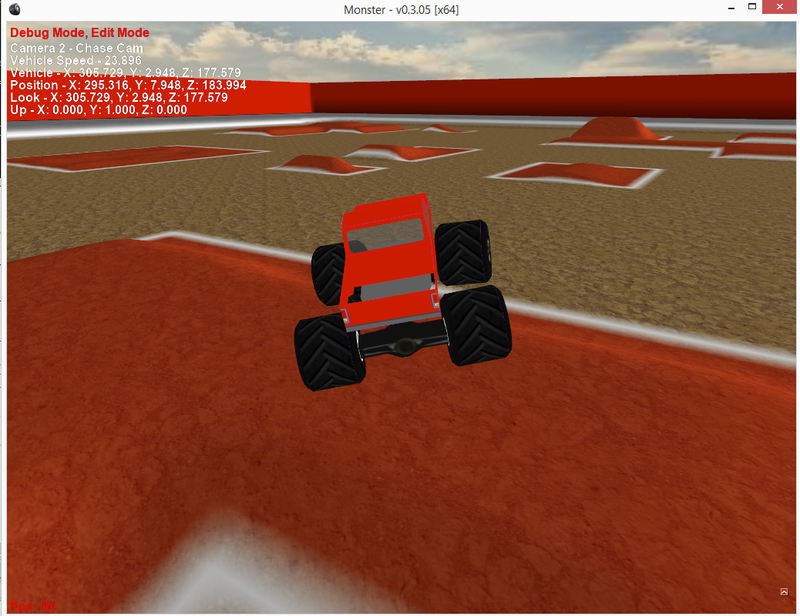 It loads and renders the tracks and trucks from MTM 1 & 2. Next step is to implement the physics which has also been in the works for a while. I was implementing ODE physics but it lacks in several ways. I've been checking into using Bullet physics library, and it looks promising. The actual majority of it has already been wrote. I will keep progress on that project posted as well. If you look back through the topics you can see some screenshots, I think I put up a demo as well. I am very interested in Beta testing this when your ready. I will be posting a alpha/beta sometime this week. I have 4 days off and plan to do a lot of coding. I will let you all know. 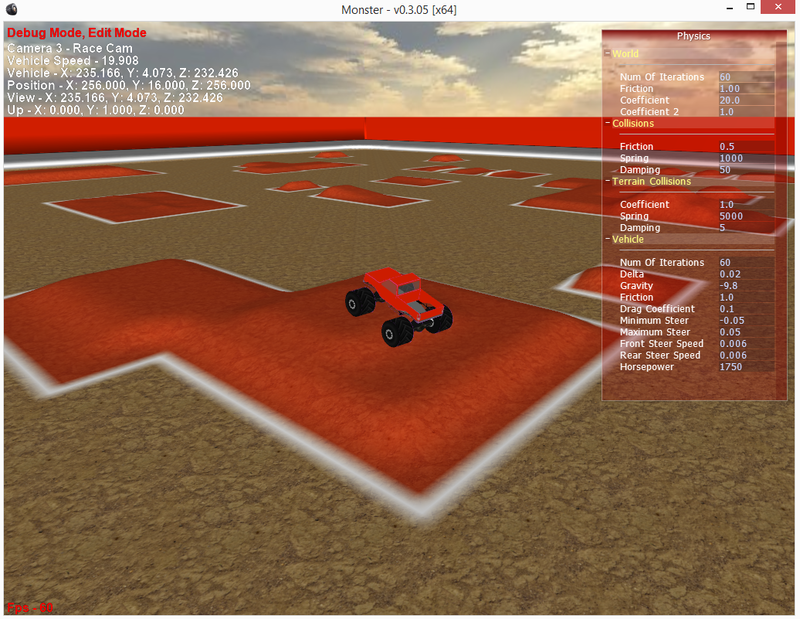 Visually it has came a little ways but mainly been working on the physics, I am not a modeler or a map maker. They are crude, but hopefully this will draw attention and others will be interested in making content for it. Keep an eye out.